We decided to camp out because as warm nights usually go, this one was beautiful. 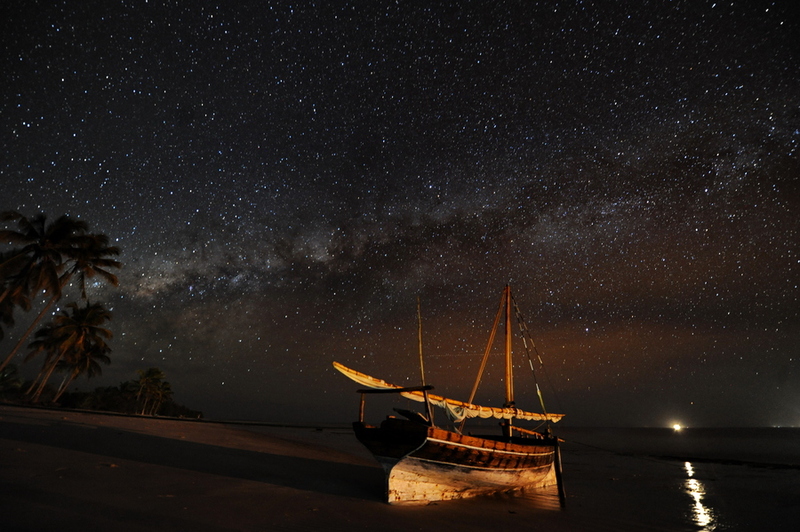 The stars stretched infinitely above us like we were actually just in a planetarium – yes, I’m trying to compare the Tanzanian night sky to HD quality video. Sad, I know but you’d have to see it to believe it. 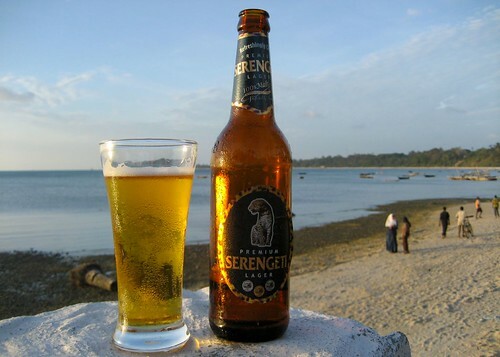 We had a bonfire going where we were roasting strips of meat as was customary and while enjoying our bottles of Serengeti, the topic of local legends came up. And then stories of fairy-tales and magic turn to horror stories. Me – Of course, nothing says horror like “Bat Wing“. You sure you aren’t basing your hero on the DC Comic? MK – Shush, stop interrupting. Legend has it an angry sheikh once summoned a djinni to take vengeance on one of his neighbors. And as you know, djinns are not to be messed with cause they are so clever. This one, like all others, obviously learnt how to dupe his master and escaped. Me – Obviously. And then it proceeded to make home in a lamp? MK – Ha. Ha. It wouldn’t be as funny when it comes looking for you. Me – Not really a problem. 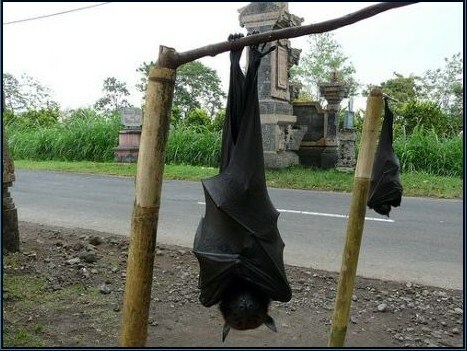 All I have to do is keep a look out for bats. Right? 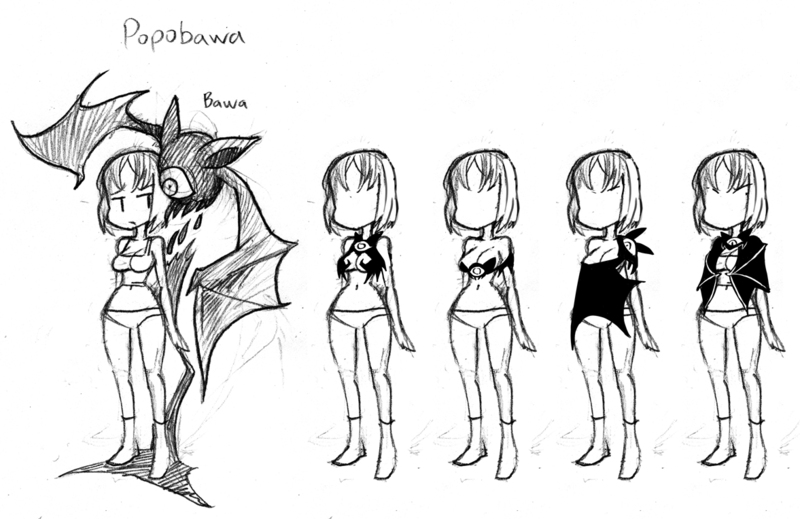 MK – Hilarious, because the Popo Bawa is a very proficient shapeshifter that attacks at night. It enters a house, sodomizes all the family members and then threatens the family that if they don’t tell everyone about it, it would come back whenever the fancy struck it. Me – Yikes, how do you keep it away? MK – Apparently, a fresh trail would smell like sulphur. When that happens, the entire family huddles outside by the fire and stays awake all night. Some have said that reading a few lines of the Koran will banquish it the same way holy water does. Me – You’re then going to tell me about staying inside salt circles and using silver bullets aren’t you? MK – Popo Bawa has been sighted only near the coast – don’t think salt will have any effect. It’s curious though because the creature only seems to strike during great political unrest. There were reports of it during all the major elections that threatned to get ugly. There are even doctors that are willing to testify that they have treated numerous alleged Popo Bawa victims. 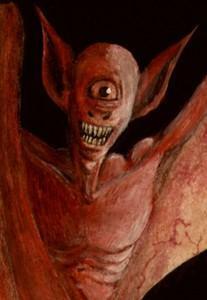 They all say they haven’t seen the creature but have seen giant bat wing type shadows fall on them before the attack. MK – There are some tribes that place charms at the base of fig trees or sacrifice goats and use its blood to guard their doors. In one village, apparently it possessed a young girl called Fatuma and had a deep man’s voice as it spoke through her and they heard the sound of a car revving on a nearby roof. Me – WHAT? This is obviously a very new legend. You sure you didn’t just make it up after watching The Dark Knight? MK – Hmmm, I might have to take you to the mganga (socerer). Evil spawn of the Popo Bawa. Me – (looking terrified) What was that? MK – (Anxiety Attack) What, what, what? Next The BEST Valentines EVER! Yeah I wouldn’t be able to have this conversation while camping. Too jumpy! Last night I check to see if my balcony door was locked three times because I “heard” a noise. Haha! That’s my defense mechanism. When I’m scared but don’t want to show it, I ‘BOO!’ other people. Shhhh, don’t tell anyone! What a great blog! Congratulations! I’m not in your league, but trying to get there! I think you have great talent. Terry, don’t say that. All I can do when I look at your blog is to hope that one day I get to see and experience all that you have. And maybe feel a slight pang of envy. You are something else!